“Superfood”. 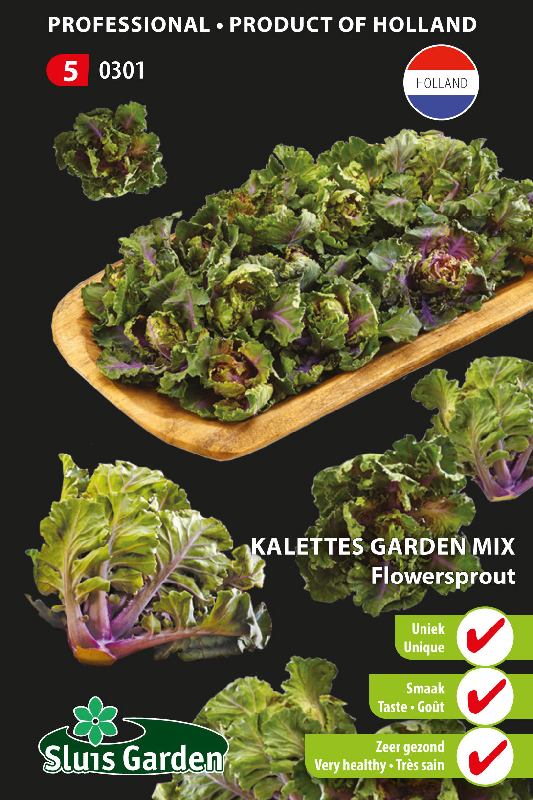 Kalettes is the result of 15 years of breeding . 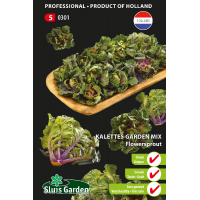 A hybrid with the taste of Brussels sprouts combined with the mild, sweet, nutty flavour of kale. Contains twice as much vitamin B6 and C as the common Brussels sprout. Cultivate in the same way as Brussels sprouts. The tall sturdy stem produces many rosettes of this delicious vegetable. Sow in a greenhouse or in a seed bed, then transplant to final destination. With moderate winters can be harvested long into the season.